This book adopts an innovative new approach to examine the role of maritime power and the utility of navies. 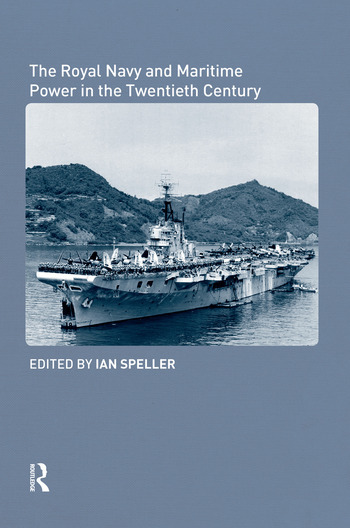 It uses a number of case studies based upon key Royal Navy operations in the twentieth century to draw out enduring principles about maritime power and to examine the strengths and limitations of maritime forces as instruments of national policy. Individual chapters focus on campaigns and operations from both World Wars and a series of post-1945 crises and conflicts from the Palestine Patrol in the 1940s to Royal Navy operations in support of British policy in the 1990s. Each case study demonstrates critical features of maritime power including: operations during the transition to war; fleet operations in narrow seas; logistics; submarine operations; the impact of air power on maritime operations; blockade; maritime power projection; amphibious warfare; jurisdictional disputes and the law of the sea; and, peace support operations. The contributors to this book all have considerable experience lecturing on these issues at the United Kingdom Joint Services Command and Staff College, where maritime campaign analysis is used to teach the principles of maritime power to officers of the Royal Navy. The book combines an authoritative examination of critical Royal Navy operations during the twentieth century with a sophisticated analysis of the nature of maritime power. As such it is of both historical interest and contemporary relevance and will prove equally valuable to academic historians, military professionals and the general reader. Ian Speller is currently a Lecturer in the Department of Modern History at the National University of Ireland, Maynooth. His research interests include maritime strategy and military history, with a particular emphasis on expeditionary operations.